I had great visions of keeping a monthly journal of answered prayers and the workings of God. I have failed miserably. There has been so much happen in our midst these past years that I am not even sure I would be able to write it all down. Each person has their own story of grace and growth. For me to put it into words would not portray it fully. I feel the same way about the Lord. He is so awesome and glorious, there is no way I could ever describe His glory fully. 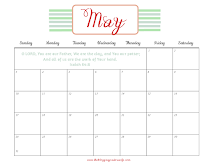 There are many months that I could tell you stories of people who were changed so fully by God or a time when God showed up and showed off so gloriously, but as I look back on this month a great change has happened in me. I have known for a while that I needed to surrender something specific to the Lord but refused. In this refusal I knew it was keeping me from growing in my walk with the Lord, but I just wouldn't let go. At the end of January I was able to completely let go of this thing in my life and God has overwhelmed me with blessing...spiritual blessing. God is at work and I am so thankful! If I were to tell you what I wouldn't give up, you might laugh. I wasn't in some deep sin nor was I neglecting my time with the Lord, but God asked me to give something up that I didn't want to let go of. I basically told Him no for a while and that came with the consequences of disobedience. I am now completely free because I let go and obeyed. These small no's to the Lord are just as potent as the large no's. Both come with consequences that we may not realize are hindering our walk with the Lord until we realize that the Holy Spirit has given up on nudging us. Don't let small or big sins interrupt your walk with the Lord. 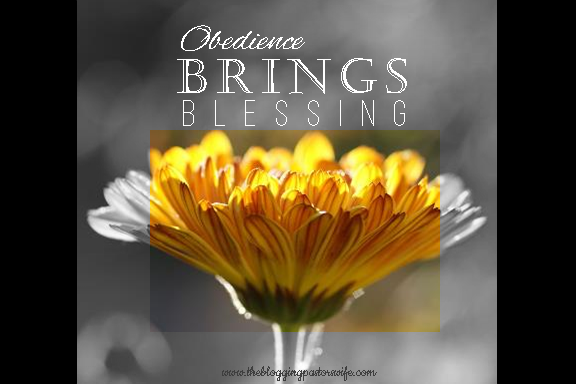 Freedom comes with obedience! Are we ready to obey?